Myrtle Beach Trip (4/13. Free Transportation). 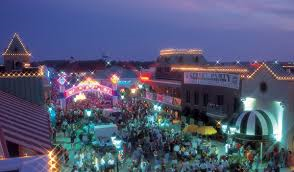 Visit Myrtle Beach’s Broadway at the Beach and other surrounding areas! Broadway at the Beach has tons of attractions including WonderWorks, Ripley’s Aquarium, mini golf, Broadway Grand Prix, over 75 shops, and a lot of restaurants. Visit www.broadwayatthebeach.com for a complete list of things to do. Meet at the Roadhouse at 1000. Limited space – first registered/first served. THIS TRIP FILLS UP SO PLEASE REGISTER EARLY!